Thank you to all those who helped at the Eastern Cyclo-Cross event on Sunday. It was a long and at times very wet day. It was also good to see some new faces among the group of volunteers as well as the stalwarts. We ran a very successful event with some positive feedback from riders. In addition a big THANK YOU to all our cake bakers – it is the home made cakes which always go down very well with supporters and riders. 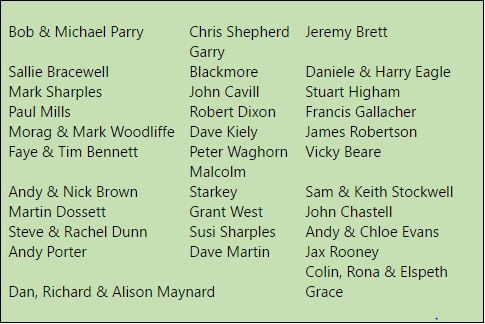 Thanks to all those on the list below who made the event happen for the 280 riders that took part on Sunday.